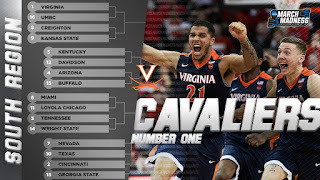 Virginia is the favorite to win the National Championship game on Yahoo, at 26% of brackets. If Arizona knocks them out in a Sweet 16 matchup, then less than 20% of Yahoo brackets will be very happy. 4% have picked them to win the NCAA Tournament. Will DeAndre Ayton Take Over NCAA Tournament?